Home Lifestyle	Do you worry about Arthritis? 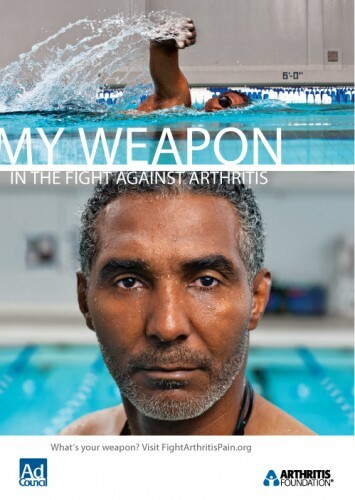 Do you worry about Arthritis? I have family members who have suffered from Arthritis in varying degrees and bone health is something that I am definitely concerned with as I get older. Like my post yesterday focusing on family activity, today I am talking about exercise for the sake of bone health and pain reduction for a disease that affects 1 in 5 adults. I am so used to putting exercise in a weight loss box and I really need to stop thinking that way. There are so many benefits of even moderate activity! In the past week, I have felt really stiff and I know it’s the direct result of a busy week seriously lacking in exercise. When I do get a chance to get moving, I love to take walks with the family, work out on the elliptical at the gym or take a cardio class (hip hop dance is my favorite!) I always feel better and sleep better afterward. Always. October 12th is National Arthritis Day and I encourage you to take a look at their awesome website to see how you can make small changes to fight this painful disease. What are your go to exercises that keep you feeling good?